We only supply the tyre. If there is a rim shown in the picture, it is for display purposes only. One of the most crucial requirements of tires fitted on high performance, sports cars is agile steering precision. This ensures your vehicle maintains good adherence to the road in face of the considerable forces acting on the tires when driving at high speeds, making abrupt manoeuvres or changes in road surfaces. The asymmetric tread ribs on the ContiSportContact™ 3 are designed to absorb these forces. On dry roads, the new tread pattern ribs provide outstanding braking capability and steering precision, by absorbing the forces exerted on braking. This means a reduction in stopping distances. On wet surfaces, the unique grooves allow increased clearance of water for better resistance to aquaplaning. New: The asymmetrical pattern ribs. The pattern ribs provide shorter braking distances. Longitudinal forces come into effect when braking. These forces are retained by the continuous pattern ribs due to their high longitudinal stiffness. The result is an improved braking performance. The asymmetry secures improved steering precision.During swift and abrupt steering manoeuvres high lateral forces act on the pattern ribs from the outside. The angled sides stabilise the ribs and reduce their deformation under such forces thus resulting in an increased steering precision. Developed for high-performance vehicles. Engineered in Germany, Continental offers premium tyres with optimum braking performance and safety. Excellent safety when driving at speed. Trusted by leading car manufacturers, including the models eg. Audi A4/A8, BMW Series 3/5/7, Mercedes-Benz AMG E-class Coupé, Porsche 911/Boxster and VW Passat CC. Excellent safety when driving at speed. The asymmetric tread ribs are designed to absorb the considerable forces acting on the tyres when driving at high speeds, making abrupt manoeuvres or when the road surface changes. This ensures the vehicle maintains good adherence to the road and allows for agile steering precision. Shorter stopping distances on dry and wet roads. The tread pattern ribs provide outstanding braking capability and steering precision by absorbing the forces exerted on braking, which means a reduction in stopping distance. Excellent protection against aquaplaning. The unique grooves allow increased clearance of water for better resistance to aquaplaning. 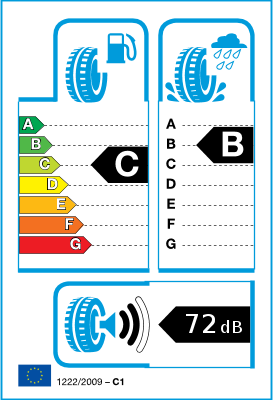 The European Union, under CE 1222/2009, has mandated that all tyres manufactured after the date of July 1 2012 for cars and commercial vehicles include standard EU Tyre Labels classifying them by three performance characteristics:fuel efficiency classified from A to G,wet grip classified from A to G, and noise emission in decibels. Categories of tyres unaffected by this regulation include: retreaded tyres, professional off-road tyres, racing/sports car tyres, as well as certain types of tyres designed to improve traction such as studded tyres, T-type temporary spare tyres, tyres for cars built before 1990, tyres with a maximum allowed speed of 80km/h, tyres for rims with a diameter less or equal to 254 mm or greater or equal to 635 mm. This label is intended on one hand to promote economic and ecological efficiency in traffic, as well as increase road safety, and on the other hand to help consumers select appropriate tyres by ensuring a certain degree of product transparency. Nevertheless, the label has been criticized for only showing a very limited number of characteristics. Professionals argue that tyres have many more features that are important and relevant to road safety, including but not limited to aquaplaning properties, driving stability, service life, product properties on wet and dry roads other than wet grip, properties on snow. 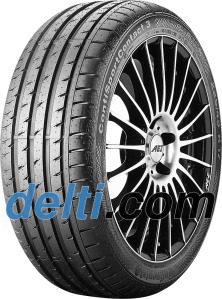 Tyre manufacturers suggest that the test results from various institutions and industry magazines should remain a very important source of information for the end consumer, because they focus on and rate a wide variety of tyre properties and features. *Prices include VAT and delivery within Ireland. **More than 90% of our orders reach the customer in the specified delivery time.